Annapolis, MD (July 1, 2016)- This is year of celebrating women! From running for office, to balancing their careers and personal life, to making miracles happen, women are showcasing their excellence in every aspect of their being. 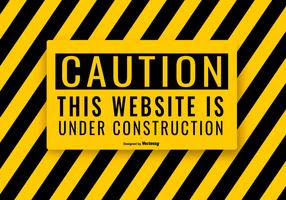 On July 16th, in partnership with the Nordstorm located in Annapolis, MD from 11 AM-1 PM, WOE Magazine will hold its launch event. WOE (Women of Excellence) is the go-to guide designed to create a culture and lifestyle of excellence for women. Their focus is inspiration, style, self-empowerment and empowerment. 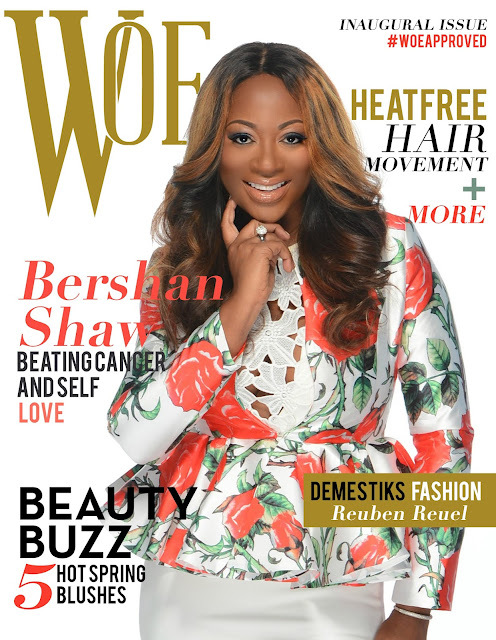 How does WOE Magazine stand out from the other publications? They promote authenticity not perfection. 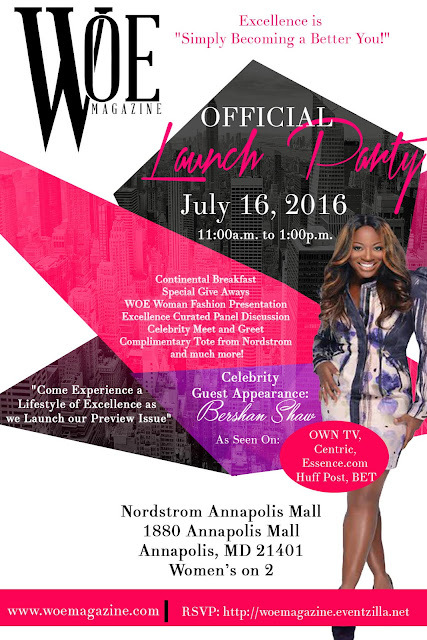 The launch will consist of Continental Breakfast, Special Giveaways, WOE Woman Fashion Presentation (Presented by Nordstorm), Excellence Curated Panel Discussion featuring Bershan Shaw, Tamiko White (Style Expert) and Veronica Jeon (Entrepreneur), a Celebrity Meet and Greet with Bershan Shaw who graces the front cover and a Complimentary Tote from Nordstrom. In addition, Mrs. World 2016 will be making a special guest appearance, along with other special invited guests. 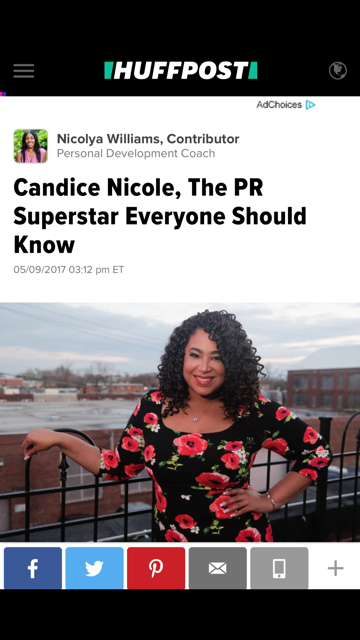 If you’re a media outlet interested in covering the WOE Magazine launch, please send your inquiry to Candice@CandiceNicolePR.com.